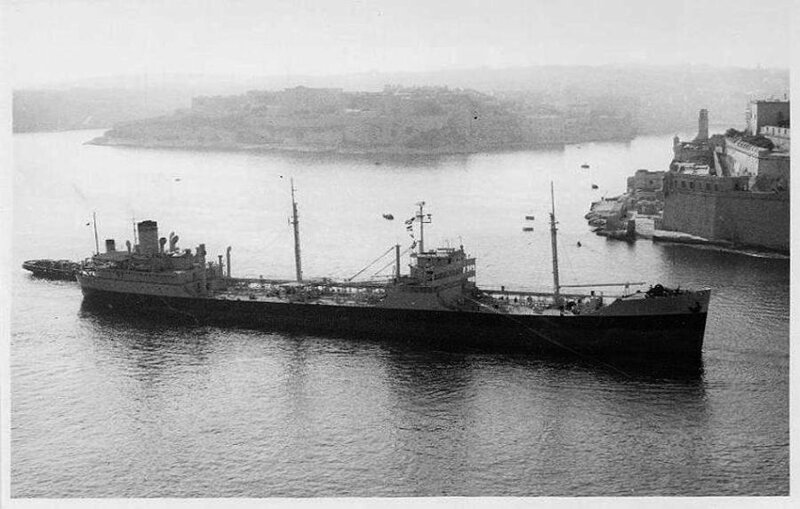 Laid down, 4 August 1942, as SS King's Mountain a Maritime Commission type (T2-SE-A1) tanker hull under Maritime Commission contract (MC hull 336) by Sun Shipbuilding & Dry Dock Co., Chester, PA. Converted for Navy service at Maryland Drydock Co., Baltimore, MD. 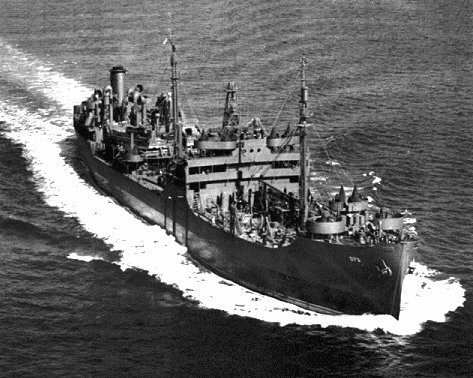 Decommissioned, 21 February 1946 at San Francisco, CA. Transferred to the Maritime Commission, 30 June 1946 for lay up in the National Defense Reserve Fleet, Suisun Bay, Benecia, CA. Transferred to the Maritime Administration, 16 July 1975, for lay up in the National Defense Reserve Fleet, James River Group, Lee Hall, VA.
58k USS Millicoma (AO-73) under way, date and location unknown. 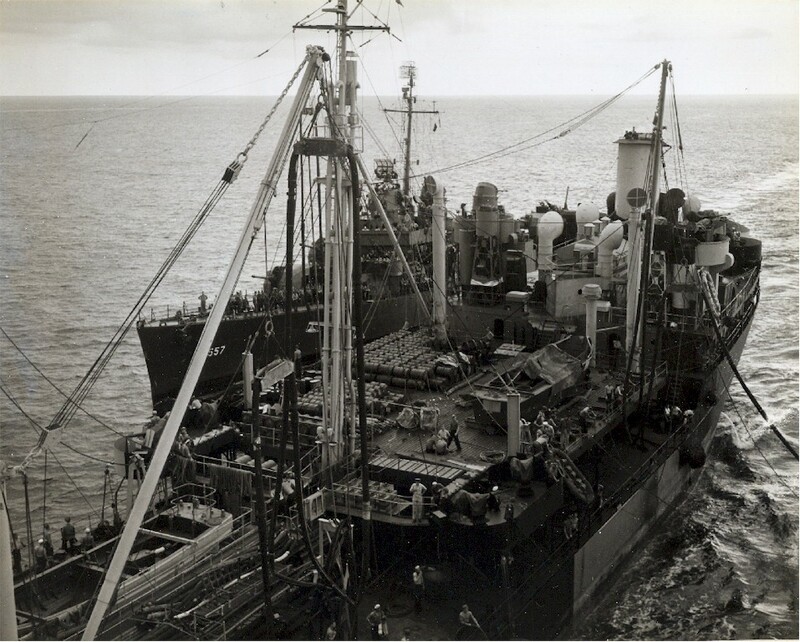 243k USS Millicoma (AO-73) refueling USS Johnston (DD-557), 12 September 1944. They are part of the train force as TU30.8.8, supporting heavy units in the Peleliu operation. Photo taken from USS Saginaw Bay (CVE-82), in unrep to Millicoma's port. 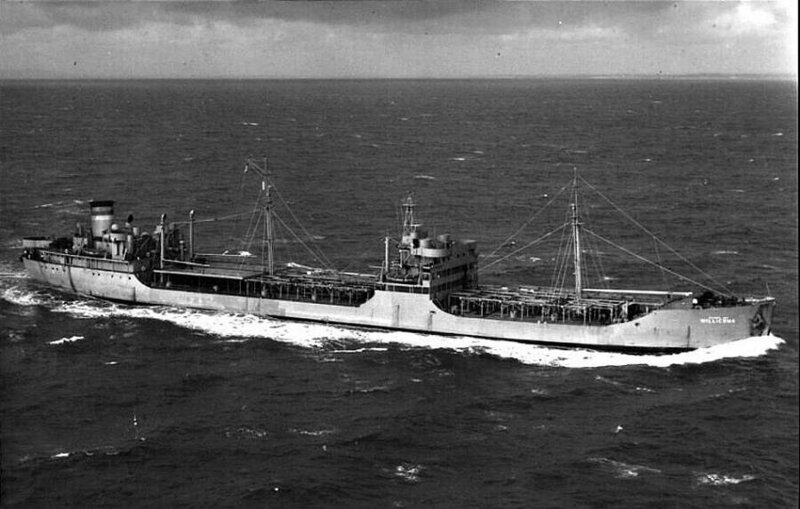 168k USNS Millicoma (T-AO-73) underway, date and location unknown. US Navy photo from "MSC Sealift Magazine" Carl R Friberg Jr.
82k USNS Millicoma (T-AO-73) underway in the English Channel, date and location unknown.